Earlier we have reported that Hollywood star Arnold Schwarzenegger, who has bee approached to play the antagonist in Enthiran 2, has suggested few changes to director Shankar on the screenplay. 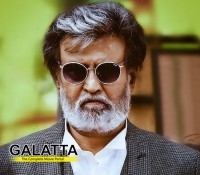 Now, the latest is that Superstar Rajinikanth is likely to meet the Hollywood star soon in the US. Produced by Lyca Productions, the film will be shot in 3D with AR Rahman scoring the music and Amy Jackson as the leading lady. Enthiran 2 is likely to go on floors early next year.